Using the Best Car wax is an excellent way to make your car shine bright, just like out of the dealership. If you car about your ride, waxing it regularly is the best way to protect its expensive paint, preserving the car's value and looks. Wax can protect your vehicle from different road conditions. There are many types of car wax available, each with their own benefits.If you’re thinking about using a car wax, this guide will help you find the right one for you. Not all car wax is the same, and car wax is different from car polish. If you ever had questions about car wax, this review and guide will help you find the right one for you. 4. Retain your car's value. There's never been a moment in the automotive history in which taking care of a car has been easier. Products galore, better formulas, better results... and a few guys like me trying to help by offering advice on how to wax your car, the best products to use etc. Let's check a few benefits of waxing our rides. Car wax has changed a lot since the 1980s, and there are many benefits to waxing your vehicle. From protection to making your car look better, using the right car wax will help you turn your vehicle into a bright and shiny vehicle. Car wax prevents external agents from ruining the paint on your vehicle. We've got bare metal, then primer, paint and clear coat or varnish. 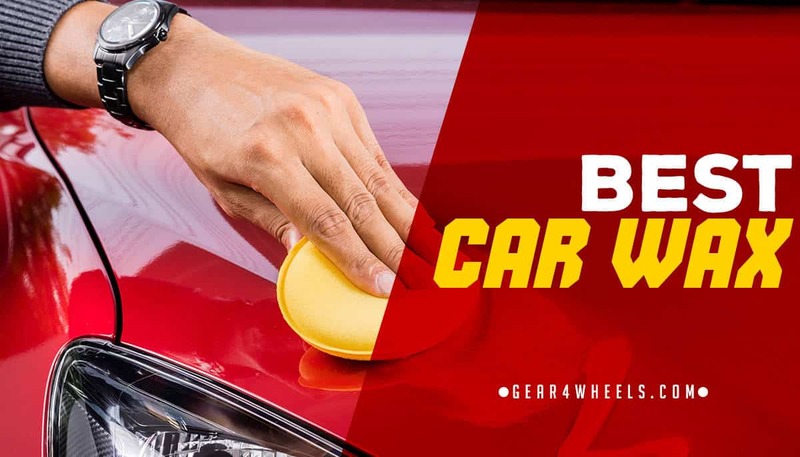 Exterior agents such as dirt, grime, debris etc will attack the varnish and paint, leaving scratches, which diminishes the look and aspects of your ride. Car wax provides with an additional layer on top of your car's varnish which acts twofold: It makes the final surface even, so the scratches and other defects on the paint are less visible (it all depends on light refraction in the end!) and it provides protection to the actual paint. All those tiny stones, bird shite, dirt etc is going to "hit" the wax and NOT the paint. Ever worn brand new leather boots with no socks on? That's your car's paint out there with no wax: full of pain. Get a nice pair of thick socks while you break them in and you'r skin won't be full of burns. Protect the paint so it stays nice and smooth. You can probably see the relationship between 1 & 2. If you lease a vehicle, the dealership will go over the vehicle with a magnifying glass. They will try and charge you for any scratches or discoloration. These costs come out of your pocket, which can add up over time. While the vehicle will take some damage from daily driving, and the weather, you can cut down on those costs. It’s the best way to save money, and taking a few minutes every week can go a long way to protecting your vehicle. The psychological effect behind this is well known. We care more about things we've put effort into making look good. If you spend 45 minutes on a beautiful sunday morning waxing your car, you'll make sure not a damn thing scratches that beauty for the rest of the month. You'll care more, which eventually will make you drive, park, manouver etc in a more conscious way. Pretty related to the first ones. Every little broken or damaged thing on your ride is going to make its value drop. A regularly waxed car is a good looking car, which will ultimately sell better than a rusty, neglected one. The ThinFilm technology provides an effortless application, and wipes off easily in the sun. the wax provides a long-lasting wax coating. It includes a pad to give your vehicle the deep shine you want from a wax. It has a DA system that makes it easier to apply the wax to your car. This car wax is 100 percent carnauba, and it shows. The formula allows you to apply the wax to the car easily and quickly. It produces a deep wet look that makes the paint look new. It provides some of the best protection that a car wax can offer. It protects against UV and UVB rays to keep the paint looking great. It leaves behind an ultra-smooth protective coating to any vehicle. It is more durable than other types of car waxes. It repels water well, and protects your car from other environmental factors. It is easy to use, and works on just about any car you want to protect. This car wax is a blend of carnauba-polymer. It creates a strong and long-lasting protection, allowing your car to go longer between waxes. It produces a brilliant and reflective shine to your finish. The special blend has protection polymers, keeping your vehicle safe from daily driving use. It is safe and effective for every type of paint on any vehicle. The shine is bright, and the wax provides deeper reflections, giving your car a beautiful look. There is a soft foam applicator that makes it easy to apply to your car. It glides on and off easily, and can be applied with your hands or with a polisher. This liquid and synthetic car wax uses a hydrophobic polymer technology that helps bead up the water when it hits the car. The wax will last for a few weeks, allowing you to take some time in between wax jobs. It doesn’t leave a white waxy residue on the exterior plastic, making it ideal for just about any car or truck. The spray bottle has different selections for how much wax you want to apply to the car. You can choose from spray and mist, and it’s easy to wipe off the excess liquid. It is safe and effective for any type of paint. It provides an excellent shine, lasting protection, and keeps water from building up on the paint of your car. This wax has a long-lasting effect that is specifically formulated for dark painted cars. It works quickly to protect your paint. Not only does it provide protection, it gently polishes away the dirt and grime that gives off a deep color and clear reflections. The wax offers protection that can last months, and it doesn’t require any additional buffing or scrubbing. There is a hand applicator pad included with the wax to help apply it evenly over the car. You can use the hand pad or a power system to give the car a beautiful and deep color that shines. Car wax and car polish are similar, and people often think they can use polish to protect their vehicle. While a polish will bring out the colors of your vehicle, it doesn’t do too much to protect the paint. It is good to use them together, but it’s not completely necessary. Here is why it’s important to know the differences between a car wax and car polish. Car polish contains mild abrasives, which can eat away at your vehicles paint. It’s a small difference, but one that has a negative effect over time. When your car has sat outside, it is exposed to the elements, which can eat away at the paint. Car polish evens everything out, allowing you to apply the wax. It’s the best way to get rid of small surface defects. Any paint damage won’t get smoothed out completely with car polish. There are different ways to polish your car. You can use a hand or dual action polisher to help smooth out the paint. Car wax is the last part of cleaning your car. It enhances the color and shine of the paint. Car wax also protects the paint from sun damage and oxidation from the air. If you live near an ocean, you know how salt water can affect a car’s paint job. When you’re looking for a car wax, the natural carnauba wax and synthetic paint sealant are the top choices. Depending on what you want to do with the car wax, you may prefer one over the other. Carnauba wax is great for protection, and a beautiful shine. However, it won’t last too long after it’s applied. You will need to keep applying it to keep your car looking shiny and bright. The formulated paint sealant doesn’t protect the paint as well as carnauba, but it does last longer. You want to consider what you want to accomplish when you’re looking for a car wax. When you’re looking for a car wax, you should know what types of car wax are available. They have their pros and cons, and it comes down to what you want to do. You should consider how difficult it is to apply and how long it will last. To find the best car wax for you, you want to consider the type of car wax you want to use. If you’re looking for quality, natural car waxes like carnauba, are ideal for car wax. Nearly every natural car wax contains part of carnauba, and pure carnauba is the most expensive. They do provide the best glow to your vehicle, and offer unlimited protection. The biggest issue with a natural car wax is that it needs to be applied often. Typically, they will last anywhere between one and two months, depending on your car use. If you want a glossy finish with a natural look, the natural car waxes are your best bet. They often come in a paste, allowing you to apply how much or how little you want. If you’re not using a natural car wax, like carnauba, you will most likely find a synthetic car wax. They can simulate a natural car wax, but they’re going to act more like a paint sealant. This type of car wax will come in a spray bottle, or as a liquid car wax. They are easy to use, and provide excellent coverage. They don’t require too much time to rub into the body, and will last longer than a natural car wax. Synthetic car waxes can last a whole season before it needs to be applied again to your car. Liquid waxes offer excellent cleaning, high gloss, and durability to your car. They are more difficult to apply, but they can leave your car looking great. You can choose how much wax you want to apply when you decide to start waxing. The weather is a factor when you’re applying a liquid wax, and can leave a slight haze when it dries out. Paste waxes are the easiest to apply to your vehicle. They don’t last as long as other waxes, and can be more difficult to remove from the container. The paste will dry quickly, preventing any streaks or marks on your vehicle. Though you will need to apply it more often, it offers the best look for your vehicle when you use it. Spray waxes are ideal for easy application. You just point and spray the wax where you want to apply. It can work on plastic parts without leaving a white residue behind. You can use a spray wax for spot waxing your vehicle, and don’t require any dry time. They don’t provide any durability, and aren’t good for cleaning your vehicle. While you save time, you may need to apply the wax more often to keep the coat on your vehicle. Finding the perfect wax for your car is daunting, and can take some trial and error to find that perfect look you want. Here's a very good video from Darren, where he explains what the best car wax really is and what to (realistically) expect from any wax. No matter if you’re a weekly detail type of person, or someone that doesn’t mind going a few weeks in between detailing, there is a wax available for everyone. If you’re looking for the best car wax, the Meguiar's G7014J Gold Class Carnauba Plus Paste Wax is going to be the best. If you’re a person with knowledge of car waxes, you know how well carnauba works. It brings out an excellent look for your car, and provides the extra protection you want from a car wax. I just bought the Ultimate Liquid Wax and it says it’s a pure synthetic wax.